ONLINE DEADLINE May 2, 2:30 PM. 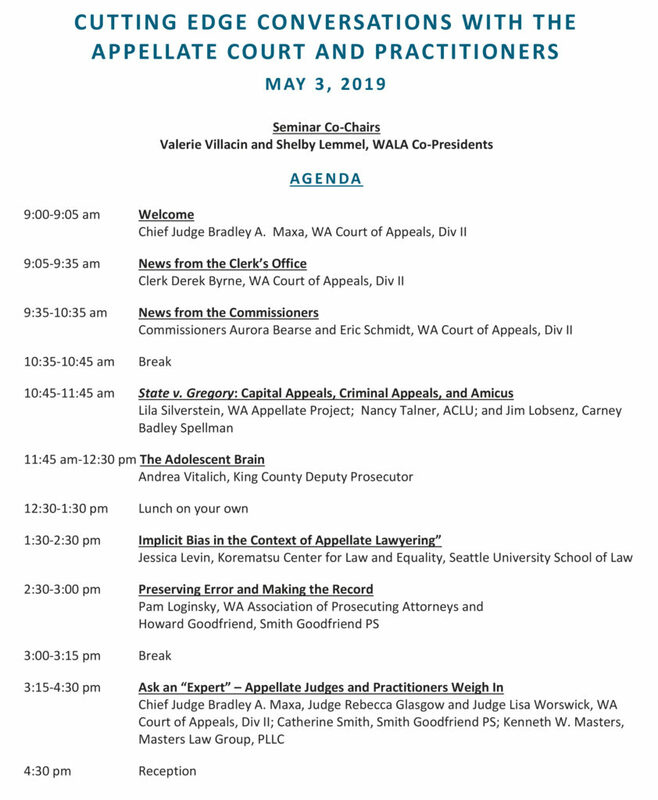 AFTER THAT TIME please download 2019 Appeals Flyer or call the office at (253) 272-8871. 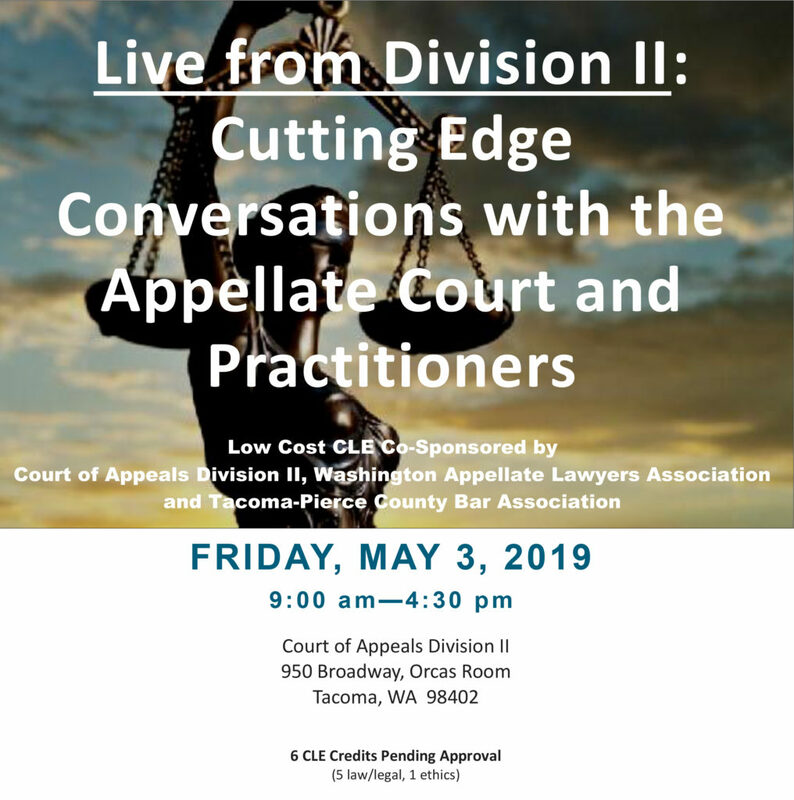 Unlimited available	 Appeals CLE - Division II Clerk Free Reservation for the Cutting Edge Conversations with the Appellate Court and Practitioners on Fri. May 3, 2019 – 9:00 am to 4:30 pm. NO FEE BUT MUST REGISTER.